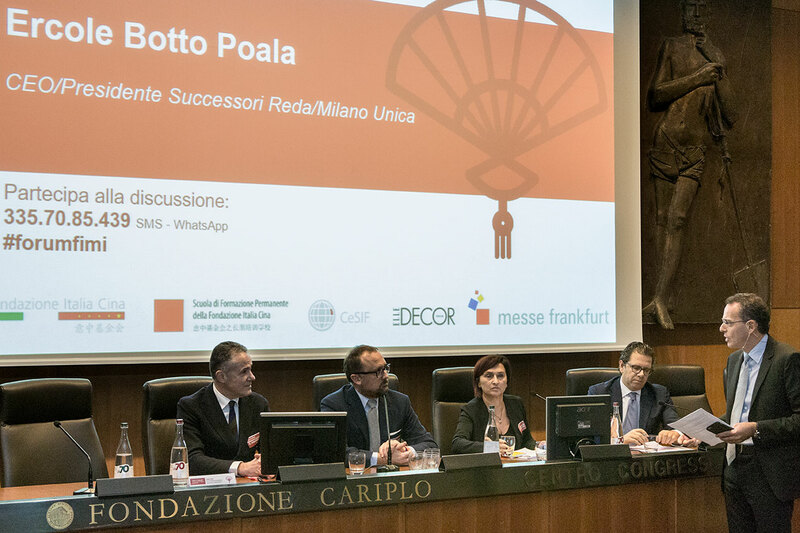 The sixth Internationalization Forum on Made in Italy, organised in Milan by Messe Frankfurt, in collaboration with the Italy-China Foundation and Elle Decor Italia, welcomed 280 participants and renewed prospects for the Chinese market. On 15th November, the convention confirmed China’s important role in the Italian economy and in the international trends. Industry experts, researchers, businesses, economists and law firms enlivened the stage of the Cariplo Foundation Auditorium in Milan offering insight into the country’s continuous economic and cultural advancements. It emerged that China increasingly acts as a front-runner, one of the major international trendsetters and the first e-commerce market in the world. iGuzzini was pleased to attend the convention, being part of 'The Italian Experience. Success Case History' session. The Company’s Vice President and Business Innovation & Networking Director, Massimiliano Guzzini, outlined the key moments of iGuzzini China’s launch and development, which he experienced first-hand. "From 2005 to 2011, I lived in Shanghai to launch iGuzzini's set-up in China which aimed to fulfil the requirements of the Asia Pacific market. In the light of this personal experience and in spite of all the difficulties associated with the complex dialogue between the two cultures, I believe that China offers great opportunities for innovative companies, in many respects. Besides representing a great business opportunity, it also stimulates the creation of new production processes and introduces new trends and inspiring high-tech architecture", commented Massimiliano Guzzini. Among the projects referenced are the iconic National Centre for the Performing Arts in Beijing, the Shanghai Oriental Art Centre, and the recent OnCube office complex, also in Shanghai. Andrea Cabrini, co-director of MilanoFinanza, chaired the convention.